The subject property is located along the road from Lukut, Port Dickson to the Jimah Power plant. It is about 3km before the power plant. Most of the land here has been used for factories, warehouses and even food courts for the workers in the power plant. 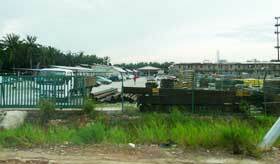 One of the neighbouring land being utilised for industrial purposes. 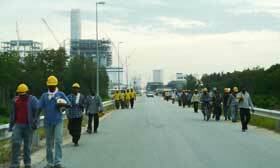 The armies of workers from the power plant walking home after work.